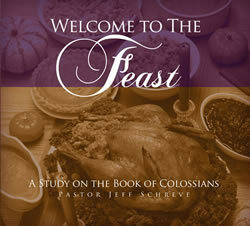 Did you know that the Christian life is not a funeral…it is a feast! God has saved you in order to bless you and loud you down with His love and grace. In this 12-MESSAGE series study of the Book of Colossians, you'll learn about the wonderful life you can have in Christ and how to live that life to the fullest.